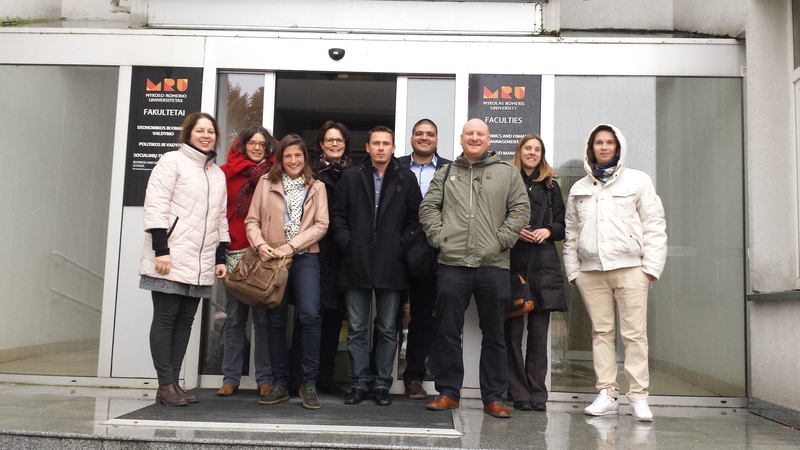 On 24th and 25th of October 2016, the S2ASport project* partners gathered in Vilnius for the third full partner meeting. 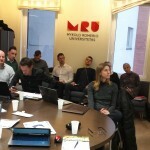 The event, hosted by the Mykolas Romeris Univeristy (MRU), gave the opportunity to gather the partnership** to discuss the progress made and to move forward the implementation of this ambitious EU funded project focusing on the area of Sport Administration that will run until February 2018. Officially opened by Aurélien Favre (EOSE Executive Director) who reminded the rationale and context of the project as well as the objectives of the day, the meeting was productive and some crucial progress was made towards the successful implementation of the challenging expected work programme. Such advancements would have not been possible without the active participation and contribution of all participants. 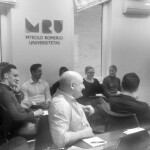 The participation of both the external evaluator, Alan Graver, from Sky Blue, and Vilma’s students in second year of Master in Sport Industry management provided a fresh perspective to the meeting and the group discussion. 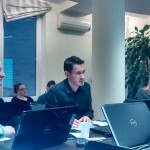 Indeed not only did Alan made use of the two days to have some interview with each partners to explore their feelings about the project et also contributed to the discussion from an external point of view with the aim to create the conditions for success and sustainability. Clarify main financial and administrative rules. 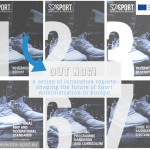 The partnership is using and following the Lifelong Learning Strategy for sport and active leisure, also known as the 7 Step Model, to define and specify the precise knowledge and skills sport administrators need to perform effectively within sport organisations and to produce an adapted training programme handbook that will be piloted in the second part of the project. To date, deadlines have been met both in terms of Administration and Project Outputs Development. The meeting was the occasion to go for a final round of presentation and amendments as regard the first three outputs to be produced which were disseminated to all partners prior to the meeting to give them the opportunity to go through the content and come prepared. A series of comments and feedbacks were given by the partnership for each of them and the agreed changes will be integrated into the revised final version. It should be noted that Simone Digennaro from the University of Cassino and Southern Lazio (UNICLAM) as leader of the research (Step 1) highlighted the fact that the factorial analysis is supporting the basic idea of the project (ie the crucial need for appropriate training opportunities to support sport administration) and introduced interesting insights as regard the potential target (people without contract, from mid and small size organisation, rather old people). Alan highlighted all the extra work that came out as part of the production of these first outputs –for example the online survey conducted in April 2016 was not foreseen in the application- which clearly demonstrated the great involvement from the partnership. Partners were also invited to an n-depth work regarding the Output 4 (Functional Map) which draft was presented by Ben Gittus and Vilma Cingiene (MRU) as leader of the related d work package. After a presentation by Ben of the working methodology and in particular the cascading disaggregation functional analysis, Vilma provided the participants with a reflection on the relationship between “management” and “administration”. Partners then debated about the content of the proposed draft and feedbacks were collated to improve the document to be signed up by December 2016. A brief introduction of the next step, the Competence Framework / Occupational Standards (STEP 5), was made to inform partners of the upcoming step in the work programme. 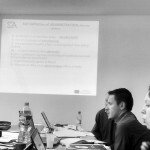 As a conclusion of the meeting, Carole Ponchon (EOSE), led a session devoted to dissemination and exploitation during which each partner was invited to present the work carried out so far to promote and raise awareness about the project. 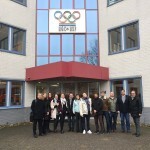 The meeting concluded with each partner having action points to be completed ahead of the next full partner meeting that will be hosted by the Dutch partner in Papendal on 7th and 8th of February 2017. 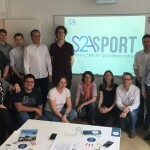 ** The full description of the partnership and the expected activities of the project can be found on the website www.s2a-sport.eu.